Two Suffolk farmers have won prestigious Operation Pollinator Green Headland Awards, for their environmental work to promote farm biodiversity and protect soil and water resources – with new habitats found to be supporting rare species of important conservation status. Both farms have been part of a new initiative by Syngenta and ASDA, in association with Kings Crops, to plant field headlands around potato and vegetable crops with a flower-rich green manure mix. These provide much needed pollen and nectar sources for insects, and give fertility-building soil protection. Results of insect monitoring last summer won Richard Mann of Iken Hall Farms, near Woodbridge, the Award for the Rarest Species found – the Ashy Furrow Bee (Lasioglossom sexnotatum). 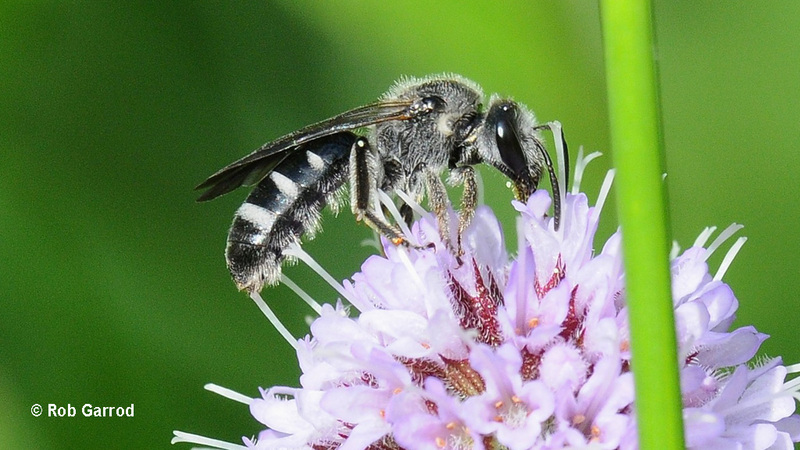 The Ashy Furrow Bee (below) was declared extinct in Suffolk in 1987, having not been seen since before 1900, however, it was sighted throughout the monitoring on Mr Mann’s margins alongside commercial root crops. It was one of 110 different species of insect found on his farms’ Green Headland mixes. 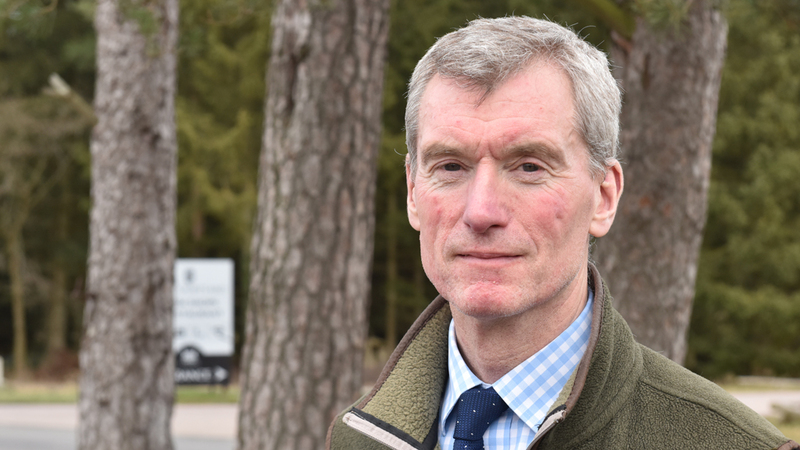 Also in Suffolk, Andrew Francis (below) of Elveden Estate near Thetford received the Award for the highest number of species caught in new pitfall trap monitoring of Green Headlands, alongside potato, parsnip and carrot fields. The huge range of biodiversity found reflected the importance of the Breckland heaths for beetles and ground dwelling insects, along with the Estate’s conservation efforts to provide a broad range of habitats. 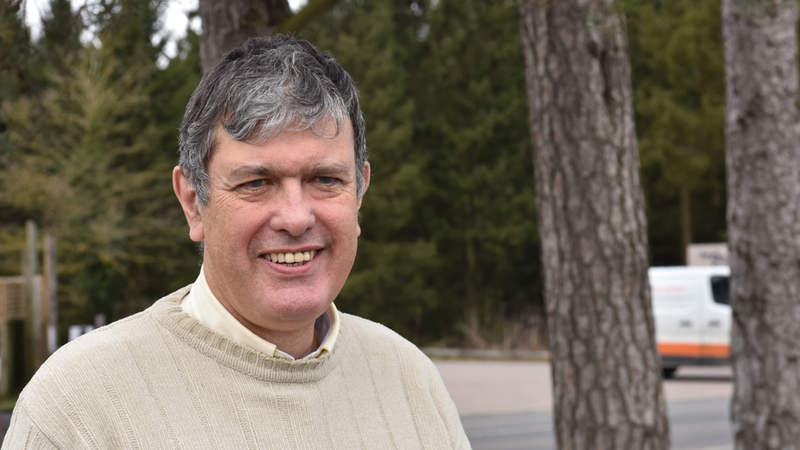 Speaking at a presentation of the initiative results last week (9th March 2018), independent entomologist, Paul Lee (below), reported that, among the number of scarce beetles of interest found at Elveden, there were Beet Carrion Beetles Aclypea opaca - a species of Conservation Importance for the area. “From two years of monitoring we can see that key species will make use of the Green Headland mix and that it has benefitted farm biodiversity. “Although it is typically only in the ground for a relatively short period, key species will make use of the resource for parts of their life-cycle." “It’s an important additional habitat resource, alongside surrounding permanent features. The vibrant insect life would also provide a valuable food resource for farmland birds,” he enthused. 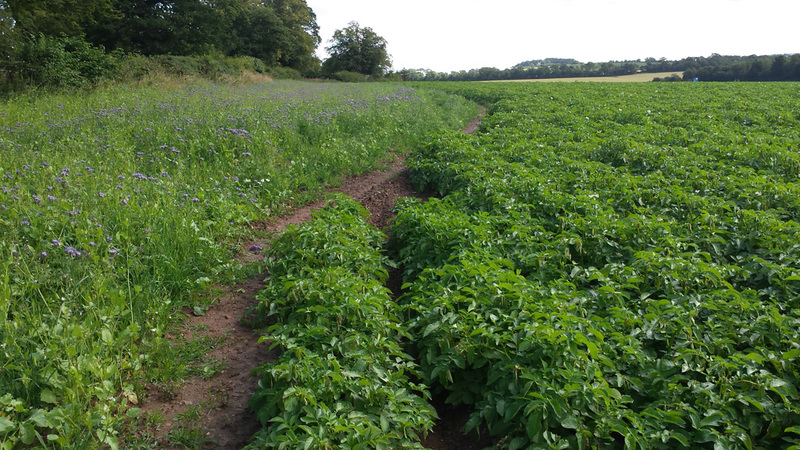 Richard Mann highlighted that the Green Headland had been easy to establish and quickly created a soil-stabilizing cover, which had also crucially proven effective in protecting soils from erosion around potato and carrot fields. Mann Potatoes extends to some 2000 hectares of cropping on the Sandlings Peninsula, as part of the ASDA suppliers’, Suffolk Produce Ltd.
Chris Brown, ASDA Senior Director of Sustainable Sourcing (below), highlighted the project demonstrated the good stewardship of farmland by growers supplying the company’s stores and customers. “We invest a lot of time and effort in assuring the sustainability of food production; this initiative highlights the efforts of UK growers to work towards increasing biodiversity and protecting resources. 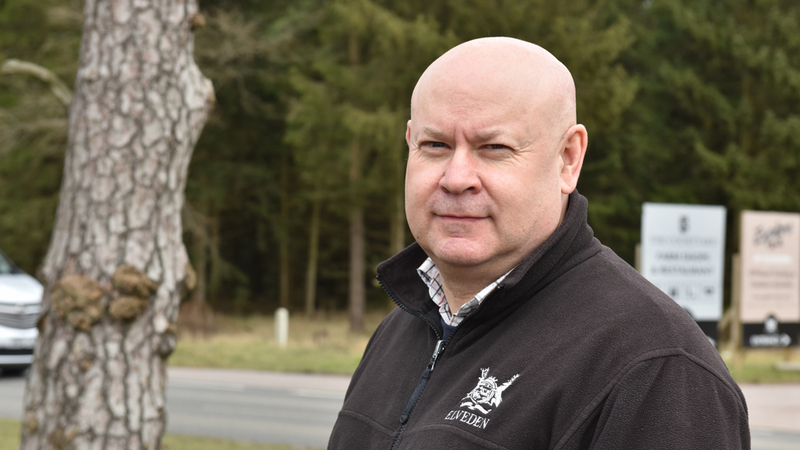 “It is incredibly exciting and positive to see the results of independent monitoring that validates the benefits of good practice and enhancing the farmland environment," said Mr Brown. The independent ecological assessment of invertebrate biodiversity on the trial Green Headland areas in 2017 collected over 41,000 invertebrates including 312 different species. Bedfordshire growers, F B Parrish & Son, at Lodge Farm, Chicksands, had the greatest diversity of insects recorded, with over 160 species identified on its eight Green Headland margin areas. That included the Bee wolf wasp (Philanthus Triangulum), which was deemed to be near to extinction 30 years ago, but has been supported on the farm, along with the national Biodiversity Action Plan species, Cinnabar Moth (Tyria jacobaeae), found on the margins. “The partnership with ASDA and Kings has demonstrated a practical and viable technique to both protect the soil structure and provide a valuable feeding and habitat resource for invertebrates and other farmland biodiversity,” she reported.